My navigation map version is 2018/2019(V13.0). After multiple dealer calls to check if maybe my NAV version needs an update. I was able to get an answer from the 3rd dealer here in CT. They did tell me that the newest version is 2019 V13.0. As someone else mentioned previously. But the cost for it would be $159. I said since my car is a 2018 we get 3 years complimentary NAV updates...per MB website. So yes to everyone that has V6.0 go get an update. He said he didnt hear that and is checking with someone on how to warranty it. Dealers do that all the time. Don't let them get away with it. They know very well that you car comes with map updates for 3 years. Make an appointment at the dealer you want to do the work and if you have to call MBUSA to get them to confirm what your dealer already knows. When I checked map version in the car, I got 2017/2018 V6.0 North American. Last edited by Cambridgehank; 10-13-2018 at 08:00 AM. How do you tell the firmware/software version on COMAND? Is v14 brand new? I got my E450 cab in early September. Wonder if it has a FW update already. Have been getting map updates all along. Last one in October. 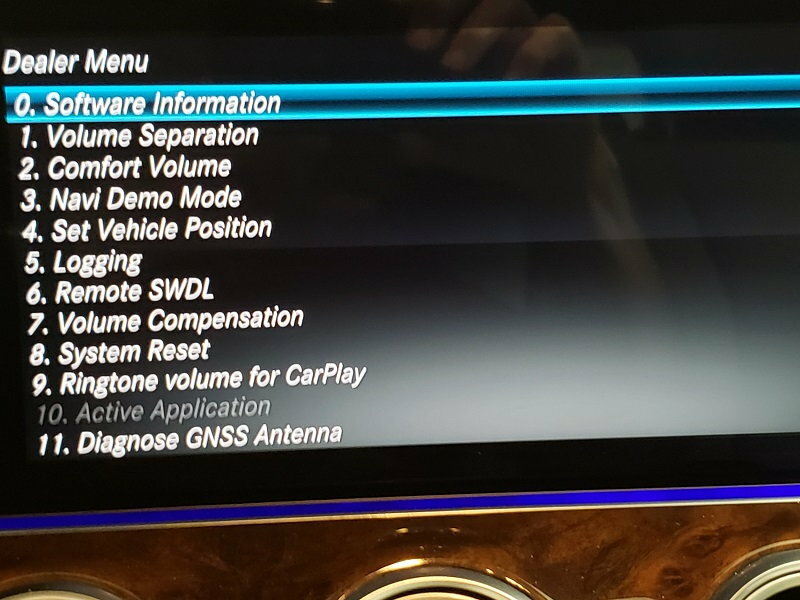 The dealer menu item zero will show software versions. So yesterday for the second time in a week, I started my 2019 E450 Cab up in the morning to have COMAND tell me that a system update had completed. Didn’t really notice anything until I pulled in my garage. Up until today, if I wanted to close my garage door from the car I had to push the garage button BEFORE turning off the car/engine because it cut power to the garage door opener. usually, I just put the car in PARK, and the auto on/off engine feature cuts the engine but the car is still in, enabling the garage opener. This morning, I accidentally hit the engine off button by mistake — but the garage opener still worked. So I tried it again the next time I went out. Same thing. But.... I wonder if they only gave it a little more time rather than immediately cutting it off. After the car had been off for a while, and still powered down, I tried to open the garage and no-go. Anyone else seeing wing this new behavior? Would you mind clarifying? MY 2018 can open and/or close the garage when in what they used to call "accessory mode"; that is, key on-engine off. For example, you can hit the engine stop button, but if you DO NOT open the driver's door you can still use the garage door opener, listen to the radio, open/close the windows, etc. Are you able to open your garage without putting your car in "accessory mode" (Do Not put your foot on the brake pedal and press the start button until you see all the dash lights). Last edited by Cao Black; 12-27-2018 at 06:59 PM. I’ve found that I can shut the car completely off, but as long as I don’t open the car door I can still roll up or down the windows and operate the garage door. As soon as I open the car door, everything turns off. If I forget to close the garage I have to put it into accessory mode (single start button push). Opposite is true... if I forget to open the garage door from inside my house and get into the car, I cannot do it unless o tithed start the car or put it in accessory mode. From the home screen select Vehicle then press and hold the rotary knob for 10-15 seconds. The dealer menu will appear. 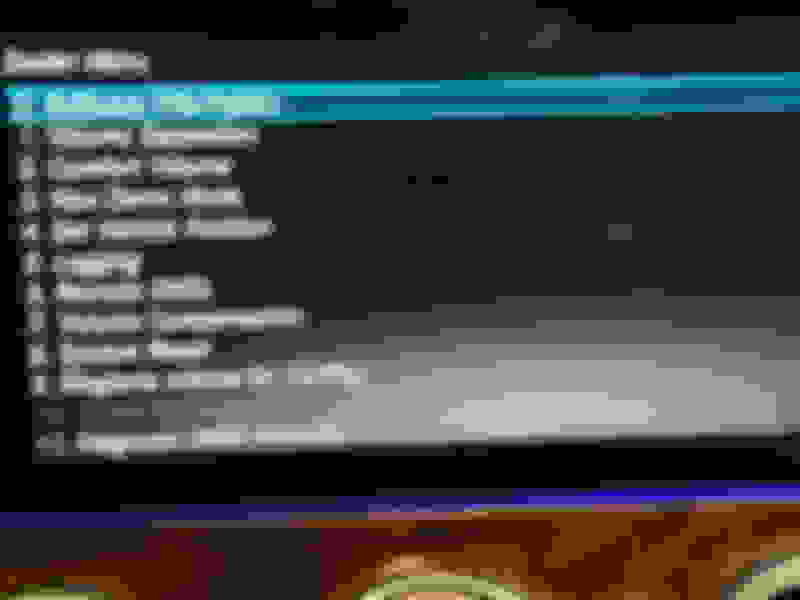 These images are from old posts. The software versions may not be the latest. Bringing this back as I'm sure others are also curious if there is anyone who has gotten a more recent navigation map version update? USA models V14.0 was release back in December. Anyone have a newer version? You will never see monthly updates to MB navigation maps. Most maps for cars are updated twice annually. I had to get the dealer to update the map for my 18 E400 Coupe for free which was done today. 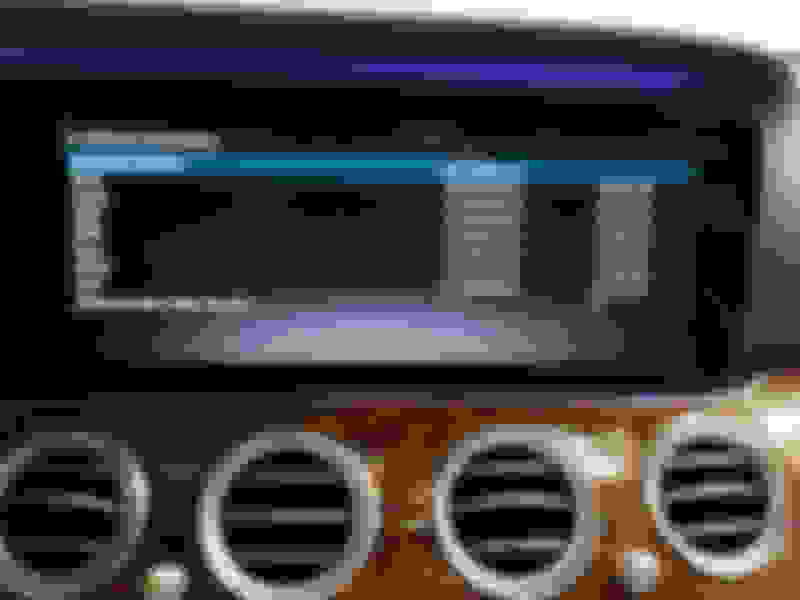 Last edited by dudley07726; 01-31-2019 at 06:45 PM. make sure you confirm. They left that print out and when I checked, they had not done the updated revision. I checked and the version is 2018/2019 v 13 but what concerns me is my update is version 13. Yet, others are saying the latest update is v14. I picked up the car on Nov 30 2017 so I know the previous version had nothing to do with 2019. So, they did update it. But why the different version compared to what’s being reported on this site. Last edited by dudley07726; 02-01-2019 at 07:37 AM. you guys still can't update maps yourself via the website in the US? very strange how this differs from country to country.. 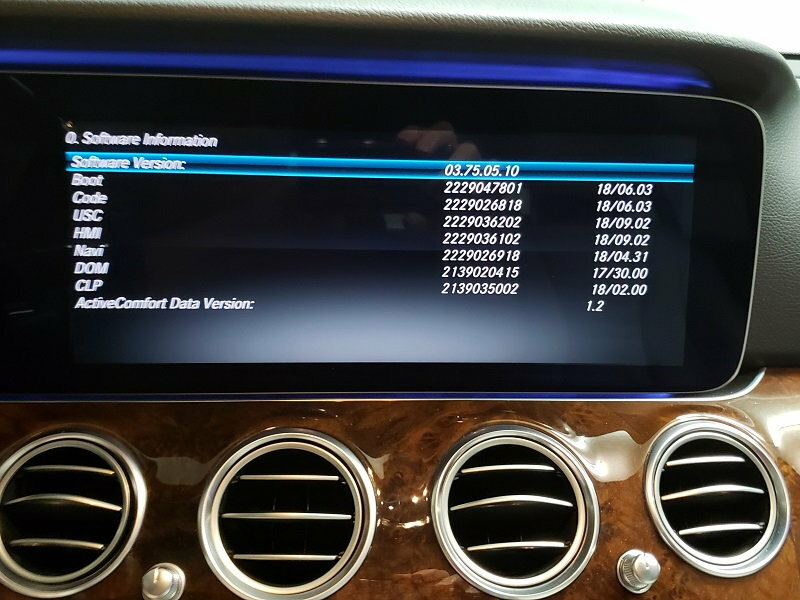 When I purchased my E300, MB included one update per year for 4 years. I ask for the update after a new map is released. Timing is everything. I got my E450 at the end of November so it was kind of cool tonight on my way home from work to see a message pop up on my Comand Screen telling my Comand software AND Map software was successfully updated over-the-air! I wasn't even aware an update was being beamed to me. It just did its thing quietly in the background and the only notice I got was when it completed downloading the bits and bytes to the systems in my car. I’ve had my maps say they’ve updated but I’ve never seen it say COMAND has been. I think I last checked and I was at v14.5? It was slightly lower then others in this forum said the latest was. I had my car in for state inspection and asked that they check for COMAND update that I had read here. When I picked the car up, the service rep said they did not know there was an update and did not find it in there software. They researched service messages and found that we were correct. He was laughing that customer had to tell them. Just retrieved my car after having first service at 14 months, 7100 miles. Both Navi and COMAND were updated to ver. 14.0 and ver. 3.76.00.10 respectively. All user data from previuos versions was lost.